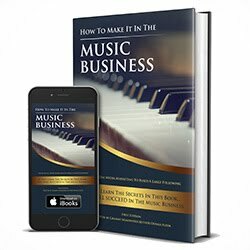 How To Make Millions Of Dollars Selling YOUR Music Online!!! In this video, I will share crucial information, which may help you make millions of dollars selling your music and/or promoting your brand online. If you are tired of letting life pass you by, you should watch this video to learn and get some advice. Even if you aren’t a musician, there are some valuable lessons that I share in this video. Social media marketing is not as easy as it used to be. If you want to build a large following on Instagram, Facebook, Twitter, YouTube, Soundcloud, then you need to be taking extreme measures to speed up your success. If you want to spend the next 10 years of your life, experimenting, blind in the sea of Internet content, then DO NOT WATCH THIS VIDEO! This video was made for people who are ready to make a change, and start marketing their brands. Take as much of the information as you can, and make it your own. I am now doing consultations. Follow the link above for your own personal consultation with me, Prestley Snipes. This video is one of many, from my new course, coming soon. Disclaimer: Everyone’s success rate is different and I cannot make no guarantees and to the amount of success or money that you will make. As far as I’m concerned, I was able to generate millions, with this information. Never compare your success or failures with other people’s. When and if it’s your time, it will be your time.